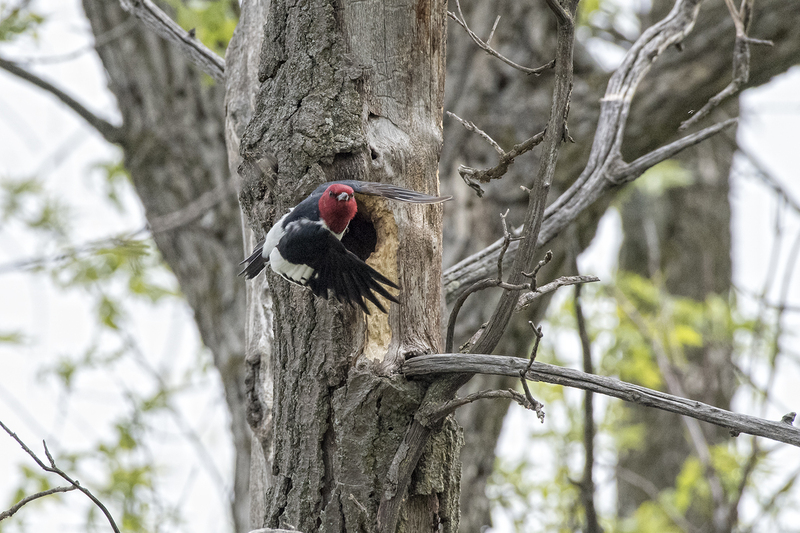 The striking Red-headed Woodpecker has earned a place in human culture. 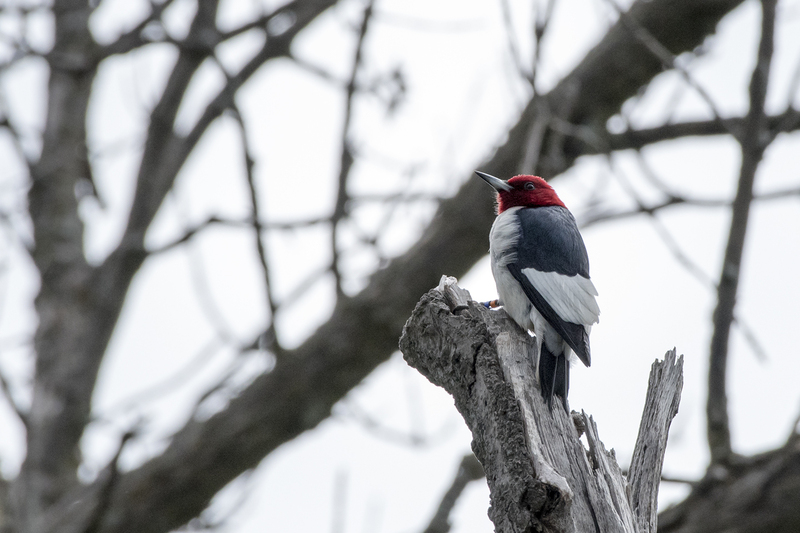 Cherokee Indians used the species as a war symbol, and it makes an appearance in Longfellow’s epic poem The Song of Hiawatha, telling how a grateful Hiawatha gave the bird its red head in thanks for its service. 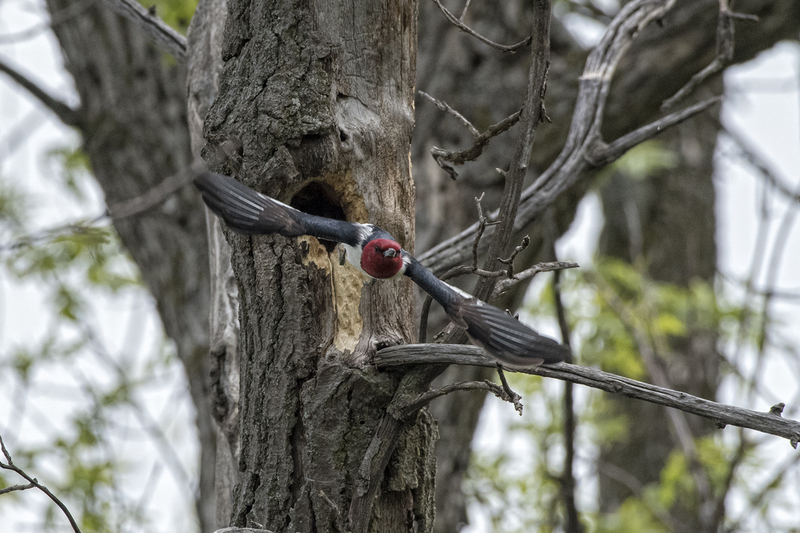 Pleistocene-age fossils of Red-headed Woodpeckers—up to 2 million years old—have been unearthed in Florida, Virginia, and Illinois. 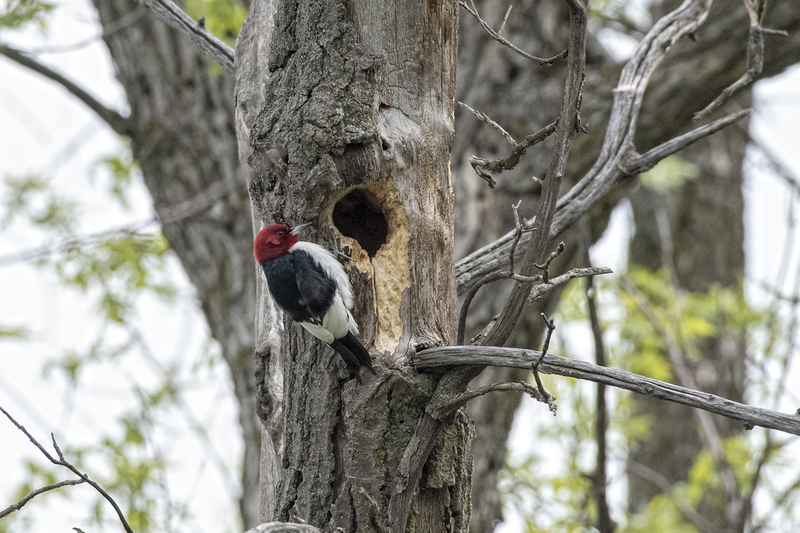 The Red-headed Woodpecker was the “spark bird” (the bird that starts a person’s interest in birds) of legendary ornithologist Alexander Wilson in the 1700s.